This article appears in print as the cover story of the September 2018 issue. Read more from the Best of the Best Restaurants feature story here. Click here to subscribe. Generally, it’s hard to beat an old-school doughnut, particularly if you can score one fresh from the fryer. There are few simpler pleasures, particularly because doughnuts are generally less than $2. But our editorial pick for the city’s best doughnuts convinced us otherwise: This is not your grandma’s doughnut, and in this case, that’s a very good thing. Pamela Vuong is a self-taught baking whiz who launched her filled brioche doughnut company (hot on the heels of General Porpoise) in late 2017, and the lines have been building at her periodic pop-up shops ever since. Making the dough is a two-day process—resulting in a quality of lightness in each bite—and each doughnut is cut, shaped, coated and filled with creams, jams or custards by hand ($70 for two dozen, the minimum custom order, or $3.50–$4 each at her pop-ups). 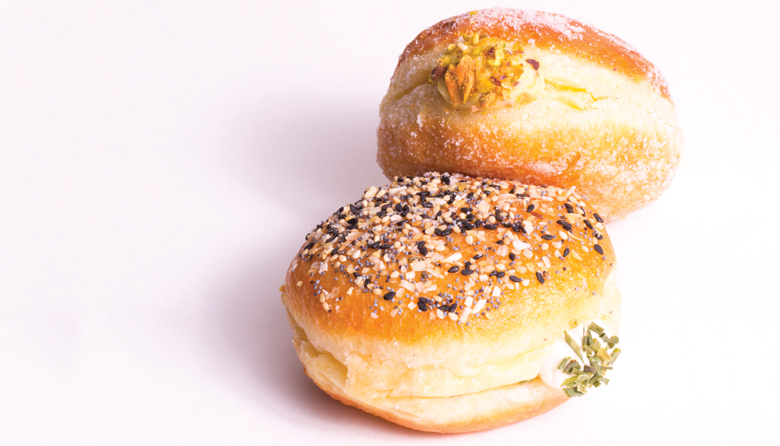 Though the sweets are excellent, the runaway sleeper hit is a delightfully light, savory doughnut inspired by “everything” bagels and stuffed with cream cheese. TIP: Although the shop opens at 7 a.m., fritters aren’t usually done until 9:30 a.m. or so—get ’em while they’re hot. And the winner of our doughnut smackdown is...Donut Factory! Congratulations! Thank you to everyone who voted in our smackdowns these past few weeks. It’s been fun! It’s down to @generalporpoisedoughnuts vs. @donutfactoryinc! Go vote on our Instagram story or on our Facebook page! The winner of our final smackdown will be announced tomorrow afternoon. Only one can rule them all!